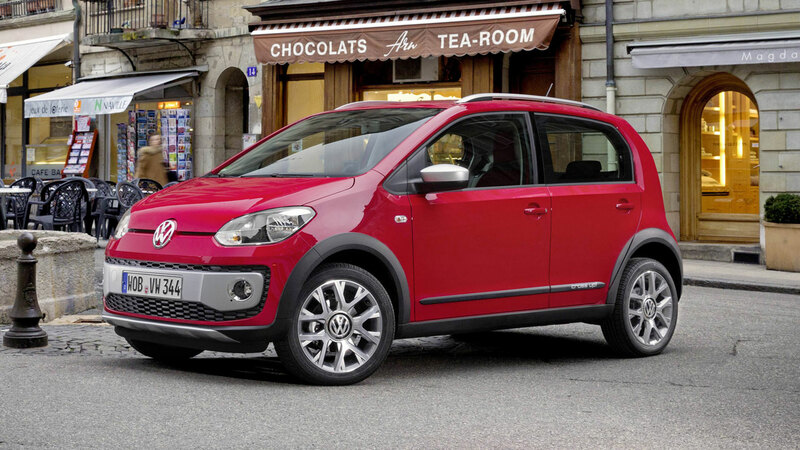 Volkswagen is expanding its range of striking Cross models with the Cross up!, which will go on sale in Europe from late summer. It will join the CrossPolo, CrossGolf and CrossTouran models, which have been a big success in Europe. 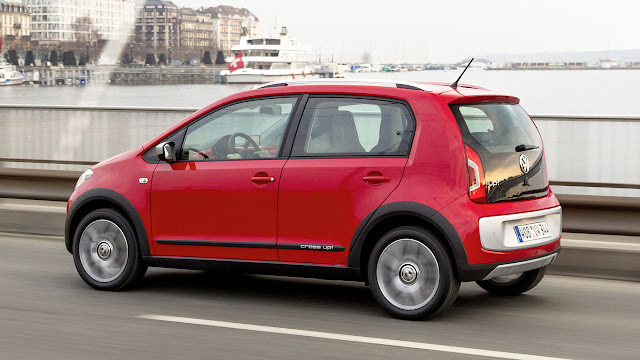 Cross models are individualised Volkswagen models with a particularly rugged design and tough, lifestyle qualities. Thanks to numerous striking exterior elements, the Cross up! is instantly recognisable as a stand-alone model: sideways on, for example, black mouldings on the wheel arches and sills, plus full-length door protector strips topped with ‘Cross up!’ lettering create a sporty look. Further unmistakable features of the Cross up! include the silver roof rails, the wing mirrors in a light silver metallic finish and bumpers also incorporating silver elements. The robust, sporty character is defined above all by the extra ride height and the ‘Cross’ 16-inch alloys with a high-sheen finish and 185/50 tyres. High-quality details are also to be found in the interior of the Cross up!, from kick-plates with ‘Cross up!’ lettering to seats in a special trim (in a choice of red or anthracite), an instrument panel with high-quality dash-pad (in a choice of red, black or dark silver), and a leather-covered steering wheel and handbrake lever. The Cross up! is equipped to a high specification: included as standard are remote central locking, electric front windows, fog lights, electrically adjustable heated wing mirrors, an asymmetrically split, folding rear seat with headrests, a variable-height boot floor, a rev counter, a multifunction display and ESC electronic stability programme. A 55 kW / 75 PS three-cylinder petrol engine combined with a five-speed manual transmission serve as the power train for the lifestyle-oriented Cross up!, which is available in Germany from late summer at a starting price of €13,925. UK sales are under consideration, but not confirmed.